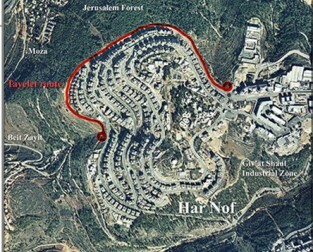 In 1996, distressed about the proposed simultaneous construction of a highway and a large scale development project, each of which posed a number of significant environmental threats to the Jerusalem Forest, Har Nof resident and Shomera’s founder, Tamar Gindis, rallied the support of area residents with the aim of saving their communal back yard. A grassroots campaign to advocate for the protection of the Forest gained momentum. Shomera also coordinated a coalition of organizations: The Coalition to Save the Jerusalem Forest. After mapping out vast untapped Forest resources and suggesting alternate plans, the highway was rerouted and the building project was abandoned. Shomera encouraged the development and implementation of planning that integrates the city’s needs with the goal of preserving the Forest. Initiatives such as subterranean burial on Har Hamenuchot to allow for the expansion of this cemetery while safeguarding the territory within the Forest. 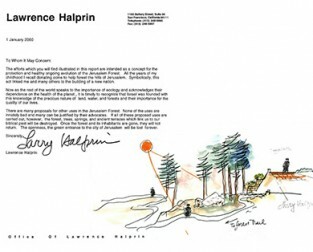 In 2003 we created the Alternative Burial Initiative – Har Menuchot Cemetery (approved at the time by the Chevra Kedisha). Shomera was a member of the Forum of Organizations for the Jerusalem Forest, the coalition of organizations and residents focused on mitigating the threat to the forest posed by the proposed interchange of the planned highway 16 . The Coalitions’ efforts to prevent the construction of an interchange, ultimately, did not succeed. Shomera worked to preserve the Forest in the face of urbanization and development projects that continue to encroach upon its periphery. We drew residents and visitors into the Forest, introducing them to its walking paths, ancient structures, to appreciate its vegetation, quiet and beauty. We informed the public about the opportunities provided by this unique Forest-park and to encourage their involvement in its safekeeping. 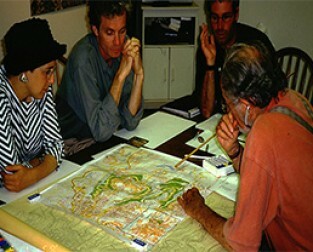 In addition, Shomera worked with planners and public officials to find ways to safeguard the Forest for the benefit of the public. 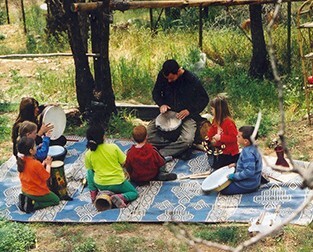 Shomera’s educational center, situated in the Jerusalem Forest, was one of the original ecological educational centers in the country. 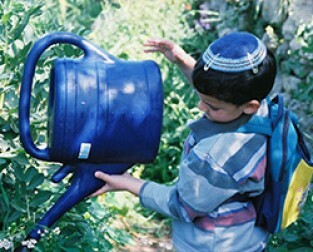 Established in 1998, the center provided a home base for engaging thousands of people with the Jerusalem Forest through hikes and activities, including introducing the Israeli public to permaculture and organic gardening workshops. Early on, Shomera recognized the Forest’s untapped potential as an ideal venue for relaxation, recreation and reconnection with nature for residents and visitors alike. 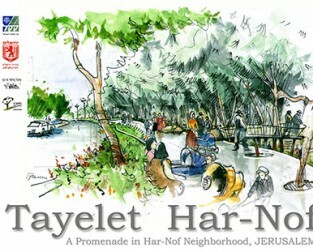 In a significant undertaking, we developed the concept of the Jerusalem Forest Promenade (otherwise known as the “Tayelet’) with the aid of Lawrence Halperin, then world-renowned landscape architect. This Shomera initiative was embraced by Keren Kayemeth LeIsrael (KKL) and the Jerusalem Municipality, but has not yet been implemented. 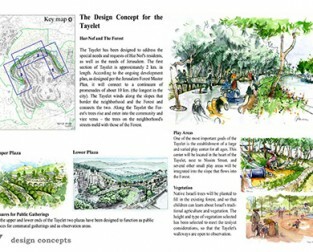 The Jerusalem Forest Promenade is designed to provide play areas for children and a new attraction for Jerusalemites, while delineating the edge of urban sprawl and its boundary with the green, open spaces beyond.